The baker brothers. Lunch bakes. Source of fibre. No artificial colours or flavours. Suitable for vegetarians. 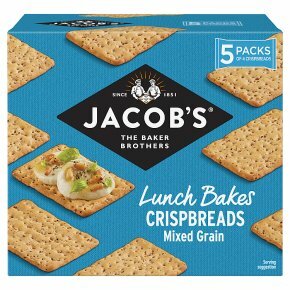 Oven-baked with care in every bite, our crunchy crispbreads with mixed grains are perfect for topping, dipping in soups or sprinkling on salads. An easy way to add a delicious crunch to your lunch.